Critics of Democrat Terry McAuliffe were not sated by his release of a summary of two years of his tax returns this week, saying it raises more questions than it answers. The summary, which was shown to reporters but not made publicly available, reveals that McAuliffe, a candidate for Virginia governor, made more than $9.5 million in 2012 and paid taxes on $8.3 million of income. The release followed months of pressure not only by Virginia Republicans but also the media. The Virginian-Pilot and the Daily Record News of Harrisonburg, Va., both ran editorials calling on McAuliffe to release more information about his finances. "Terry is continuing to go above and beyond Virginia's requirements and traditions," said McAuliffe campaign spokesman Josh Schwerin after the latest round of releases. Far from answering all the questions about his finances, however, the summary released this week actually raises a few more. 1. Where did all his money come from? McAuliffe made about $6.1 million in "business income," more than $2.1 million in capital gains, and about $444,000 from real estate ventures. However, the breakdown does not specify which businesses paid him, or how much, or which investments produced capital gains. 2. Why was he paid nearly half a million dollars by a car company that is struggling to get off the ground? McAuliffe has attempted to distance him from GreenTech Automotive, an electric car company for which he served as chairman before resigning, he says, in December. 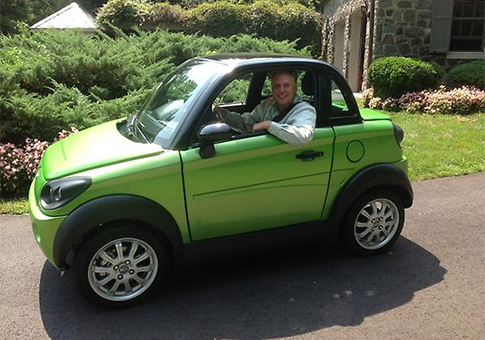 According to his tax return summary, GreenTech paid McAuliffe $417,191 in 2012. That income is not actually listed as coming from GreenTech, but it is listed under "wages," and the summary says GreenTech is his only source of wages for the year. Despite that hefty paycheck, GreenTech has produced very few cars. McAuliffe insists the number is "about 100," but the company refuses to release production figures. Its planned production facilities in Tunica, Miss., are stalled despite millions in state incentives facilitated by former Gov. Haley Barbour (R), a close friend of McAuliffe’s. The company is also under federal investigation by both the Securities and Exchange Commission and the inspector general of the Department of Homeland Security due to its use of a controversial DHS program called EB-5, which awards U.S. visas to foreign investors in American companies. EB-5 was GreenTech’s primary means of financing. Given its lackluster production numbers, McAuliffe may have been drawing a hefty salary directly from an investment vehicle that Virginia officials criticized as a "cash-for-visa" scheme that is prone to fraud. 3. Exactly how much money did McAuliffe make from an insurance scam that took advantage of the terminally ill? McAuliffe was one of a number of investors in a venture that stole the identities of terminally ill people, set up annuities in their names, and collected the death benefits on those annuities when the patients died. Rhode Island real estate planner Joseph Caramadre orchestrated the scheme. Documents filed by federal prosecutors in Rhode Island last week listed McAuliffe as one of scores of Caramadre’s investors. "Terry was one of hundreds of passive investors several years ago and had no idea about the allegations against the defendant," Schwerin insisted. "The allegations are horrible and he never would have invested if he knew he was being deceived." Schwerin said McAuliffe had donated $74,000 to the American Cancer Society—the sum of his return on investment, plus the nearly $30,000 Caramadre donated to his unsuccessful 2009 gubernatorial run. Without additional details about McAuliffe’s finances, it is impossible to verify his financial gains from the scheme, or other details about his involvement with it.